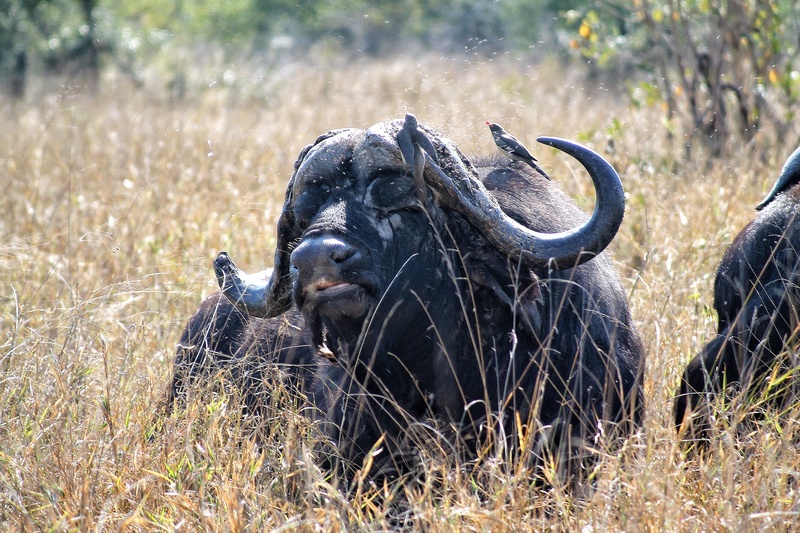 Buffalo are one of my favourite subjects. They show an interesting spectrum of behaviour ranging from docile to outright malevolent and offer enough drama for a good photo. 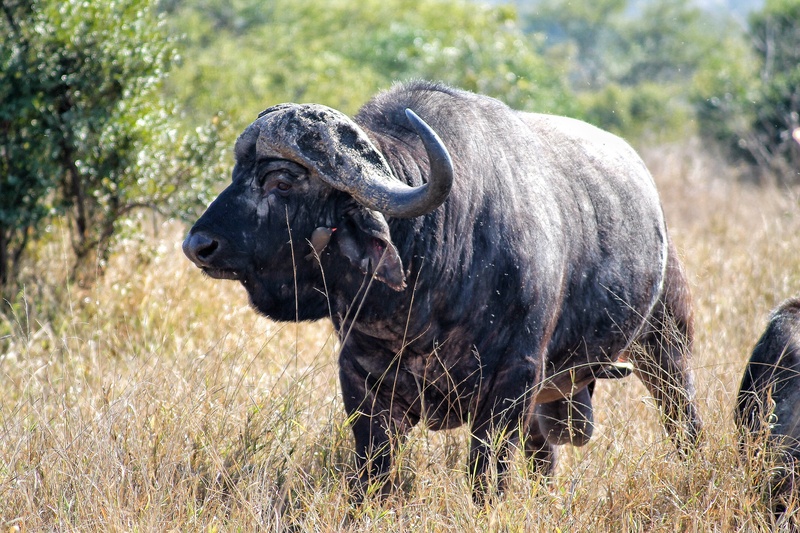 This old bull didn’t show much action, but the worn boss of its horns and two diligent red-billed oxpeckers did the trick.